China, Distrusted in Asia’s Chief Maritime Dispute, Offers to Share Data - Integration Through Media ....! 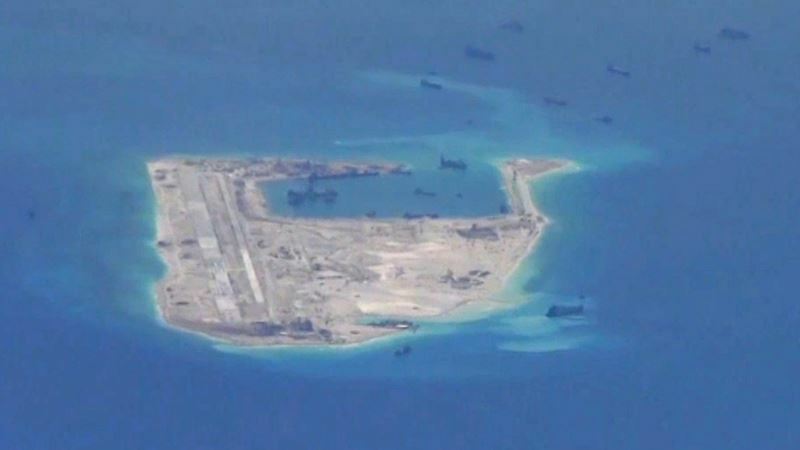 (VOA): China’s offer to share data from its weather stations in the disputed Spratly Islands with other countries could ease but not eliminate criticism over its military expansion at sea. The government’s Meteorological Administration said Wednesday it had opened weather observation stations on three reefs on the Spratly archipelago, a centerpiece in the broader South China Sea dispute. China, Brunei, Malaysia, the Philippines, Taiwan and Vietnam claim all or parts of the same 3.5 million-square-kilometer waterway including pieces of the Spratly chain. The stations on Mischief, Subi and Fiery Cross reefs will provide “weather services” to fishermen, other ships and neighboring countries, China’s official Xinhua News Agency said, quoting the administration. The rare offer to share shows that China — pressed by the United States and others to play fairer in the maritime dispute — hopes to improve its image among other countries that claim the Spratlys, analysts say. China has the region's strongest military as well as the most ambitious maritime expansion record. “The driving objectives for China are establishing administrative control and projecting a benevolent image,” said Denny Roy, senior fellow at the East-West Center, a research organization in Honolulu. “Apparently, Beijing thinks it can convince the international community that Chinese control of the South China Sea will be an international public good, and that the Americans are the villains for trying to obstruct free weather data,” Roy said. Weather observations will be used for “real-time” monitoring and forecasting of “disastrous” weather to help guide ship traffic and rescue work, Xinhua said. Scholars expect the data to be more localized than what ship captains could get online from any national weather service. China’s Ministry of Ecology and Environment said separately last week it would set up a Spratly Islands station to monitor air quality, temperature, visibility and any signs of climate change. The Spratly Islands see occasional typhoons from June through November. The storms threaten millions of fishing boats and commercial shipping vessels. Marine shipping in the South China Sea comes to about one-third or the world’s total. Other countries will say China is using the weather stations “as an excuse” to build up islets in the sea, said Alan Chong, associate professor at the S. Rajaratnam School of International Studies in Singapore. But they won't ignore China's climate data, he said. Weather data would follow China’s deployment in July of a search-and-rescue ship in the Spratly Islands. An official in Beijing said the ship would provide “public services.” Analysts say China will probably make more gestures like these to ease hostilities. China has alarmed other maritime claimants and the United States over the past decade by adding an estimated 1,294 hectares of landfill to reefs and atolls. It has installed military infrastructure on some islets. The United States periodically sends naval vessels to check China’s activities in the sea, prompting angry responses in Beijing. China is extending goodwill as well as aid around Southeast Asia to cast itself as a reliable neighbor that does not need U.S. surveillance, scholars believe. China still butts heads with Vietnam over undersea fuel exploration, while many in the Philippines fret over Chinese military activity in the Spratly chain. In Malaysia, Prime Minister Mahathir Mohamad is reexamining his country’s economic support from China. Taiwan has its own sovereignty issues with China and the two sides haven’t formally talked since 2016. Countries near China may suspect the Chinese weather stations will store military equipment, Huang said. That discovery would violate China’s “informal understanding” with its maritime neighbors, he said. Chinese officials hope their island infrastructure will help open parts of the sea to tourists and “restrict the mobility” of U.S. vessels, said Eduardo Araral, associate professor at the National University of Singapore’s public policy school.